Not only did Anne Boleyn not fulfill her duty in delivering an heir to the throne of England but she was also unpopular in the country. In the eye of the population, ”she had made herself disliked by her haughty and arrogant manners”. There seemed to be a reason why she did act that way since the king married her and even crowned her Queen of England. However, at her coronation organized by the king on June 1st, 1533, Henry VIII felt that his subjects were not ready to accept her as the new Queen of England. That was an issue since not only England was concerned with that second marriage but Europe was also preoccupied with what was prevailing in England at that time. Indeed, the authorities in Italy and Spain which had dispatched envoys in order to be informed with all the king of England’s moves. Actually, the Venetian Ambassador, Carlo Capello wrote on April 27th, 1533 regarding the upcoming coronation that Henry VIII had made it clear that ”by royal order, all the city crafts have been warned not to dare speak otherwise than well on this new marriage and Queen Anne, and to prepare the entertainments and expenditure usually made for the Queen’s coronation.” The Spanish Ambassador Eustache Chapuys also wrote about it to the Roman Catholic Emperor Charles V on May 10th, 1533 that ”the King had issued orders for all the gentlemen to present themselves in due state at these festivals of Pentecost (Whitsuntide) to do honour to the coronation of his Lady”. One can note that the Ambassador called Anne Boleyn ”the Lady” and not the Queen” as he was supposed to. 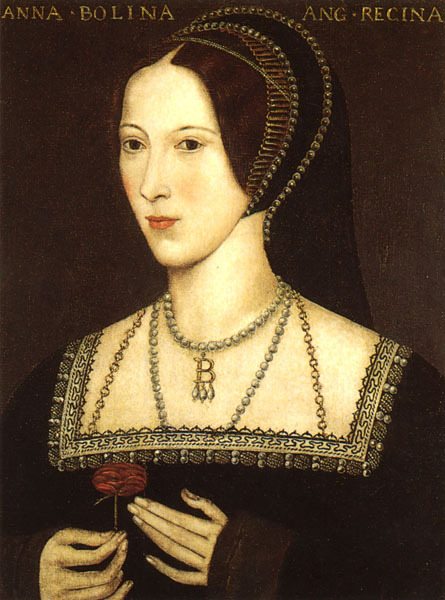 The reason to that is that he was Catherine of Aragon’s supporter as well as her nephew’s envoy, the Emperor Charles V. In that respect, Chapuys could not recognize Anne Boleyn as the legitimate Queen of England. If we believe the following statement, the coronation was not so grand as the reporter of the ceremony Wynkin De Worde made it out to be. On the contrary, according to the Spanish Ambassador in his account to Charles V, the ceremony was ‘cold, poor, and most unpleasing sight to the great regret, annoyance and disappointment not only to the common people but likewise of all the rest”. In another letter supposedly written by him, he said that ‘though it was customary to kneel uncover and cry ”God save the King, God save the Queen” whenever they appeared in public, no one in London and the suburbs, not even women and children did so on that occasion”. One question is to be raised here, if Henry VIII knew that Anne Boleyn was not popular in the eye of his subjects, why did he go through all that battle only to repudiate her three years ago? The issue of that second marriage proves that even though all the statements above seemed to have been made in order to protect Anne Boleyn, the king was only defending his choice. As said above, Anne Boleyn, having been styled Queen of England started to take advantage of her elevation and acted like a Queen in her own right. In fact, she had been reported to be disrespectful to her uncle Thomas Howard, Third Duke of Norfolk who presided her trial in May 1536. He called her ”la grande putain” earlier in January 1535 when she was reported using ”shameful words” when addressing her uncle. He must have been delighted to announce the verdict of her sentence, namely death. As far as Thomas Cromwell, who was Henry VIII’s closest adviser was concerned, she ironically “threatened to take off his head.” when she was still Queen of England. At that time, she was unaware of her fate and she might have thought that since she was Queen, she could act like one and behave as she wanted. She had forgotten that she only was called Queen because of the king’s good will and that the only one deciding was Henry VIII as she, like everyone else, was a mere subject of the king. So it came to no surprise that suddenly, everyone in England, following the king’s mood, seemed to have turned against Anne Boleyn and the fact that she had no one on her side to defend her was made clear by the fact that “her overbearing manners had left her without a friend” and that “a long catalogue of misdeeds had been registered, with dates[…] by the ladies of the household, as soon as it should become safe to speak.” Did the king ask for all those notifications to be written in case he wanted to get rid off his new wife? It is possible, especially because that report suggested that Anne Boleyn was not a beloved queen but that as I said it was not safe to speak against her because the king had demanded it. The quote also suggested that she was under the supervision of her ladies-in-waiting even though she was, married to the King and, as a matter of fact, Queen of England. As said above, she was Henry VIII’s choice and the king required that everyone should respect her under penalty of sanctions when he married her, which left no choice to his subjects but to approve his marriage. When Anne Boleyn was not influential at Court anymore, Henry VIII’s threats regarding his subjects’ behaviour towards his wife were not topical anymore. On the contrary, everyone and everything that could make her a culprit were good for the king’s satisfaction. 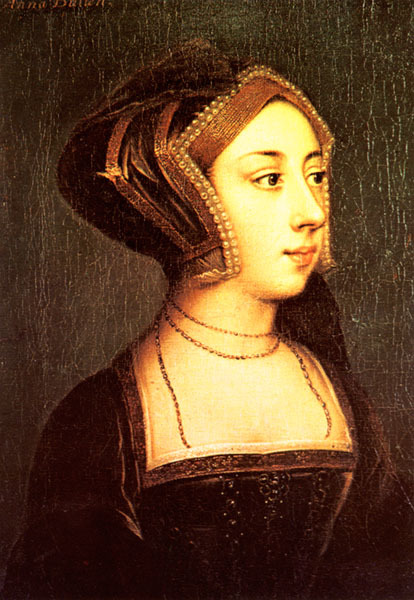 As we all know, Anne was beheaded on May 19th, 1536 and the next day, Henry was betrothed to Jane Seymour. No wonder why Henry VIII needed to get rid of Anne Boleyn no matter what. James Anthony Froude, The Divorce of Catherine of Aragon; the Story as told by the Imperial Ambassadors Resident at the Court of Henry VIII (Tennesse: General Books, 1891 Reprinted 2010) 192. Calendar of State Papers, Spain, Volume 4 part 2: 1531-1533. Calendar of State Papers, Spain, Volume 4 part 2:1531-1533.
 Letters and Papers, Foreign and Domestic, Henry VIII, Volume 6, 1533.
Letters ans Papers, Foreign and Domestic, Henry VIII, Volume 8: January-July 1535. James Anthony Froude, The Divorce of Catherine of Aragon; the Story as told by the Imperial Ambassadors Resident at the Court of Henry VIII (Tennesse: General Books, 1891, reprinted 2010) 85. James Anthony Froude, The Divorce of Catherine of Aragon; the Story as told by the Imperial Ambassadors Resident at the Court of Henry VIII (Tennesse: General Books, 1891, reprinted 2010) 200. I live in France and french is my mother tongue. I am in love with the History of England ! Whenever I go there, visiting castles is my top priority ! My favourite period is the end of the Middle Ages and the beginning of the Renaissance. So it came as no surprise that when I had to decide the dissertation topic for my Master’s Degree, the English monarchy was my first choice. And so I talked about the ennoblement of Anne Boleyn and Henry VIII’s race for supremacy. I am very curious and always have to make some researches when I learn about a new historical event! I have found it to be very enriching to do so because it always leads to another fact. This is the magic of history I guess! I read this article with interest. It hadn’t occurred to me that Anne would have been so unpopular, but it makes sense since she was an ardent religious reformer and the rest of England was still firmly catholic. It would have been very easy to turn attitudes against her. The other notion I have is that Queen Elizabeth 1 rarely spoke of her mother. Is this true? If so it would be strongly supportive of your view.